One of my favorite things about my role as a Tech Integration Specialist is bringing new ideas and strategies into classrooms. 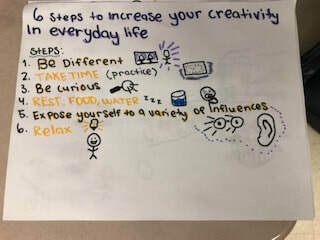 This week I visited high school AVID classes and taught them one of my favorite note taking strategies, sketchnoting. I discovered this form of visual notetaking about 4 years ago at a conference and immediately knew that this was a strategy that could transform the way that I took notes forever. After spending the summer sketchnoting Youtube videos, podcasts, and book chapters, my prediction had proven true. I was hooked on sketchnoting and I would never look back. 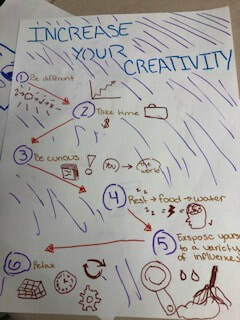 I love incorporating games into the sketchnoting sessions I facilitate. 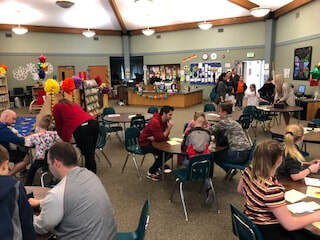 Some of them are adaptations of ideas I've found over the years and many were inspired by a session facilitated by Sunni Brown at IntegratED in Portland, Oregon I attended 3 years ago and her book The Doodle Revolution. My session participants, young and old, enjoy them so much I thought I’d share the games with you. I use Pear Deck (love, love, love this digital tool for making your Google slides interactive) to present my sketchnoting sessions. These games can be done within a Pear Deck presentation using the interactive drawing slide or on paper. I’ve done it both ways, and often do a hybrid of both. For this game, students grab a piece of paper and pen and closing eyes, poise the pen over the page. When you say go, they make a haphazard wild mark on their page with at least one change of direction in it. Once the mark is drawn, they open their eyes and make a face from it; eyes, mouth, and nose. This is a great way to get the room relaxed and bring a smile to everyone’s face. This variation is same as Face It, except instead of making the line into a face, you make it into a bird with eyes, a beak, wings and feet. I came up with the name, but know I found the idea somewhere just can’t for the life of me remember where! For this game, students are given 20 seconds to doodle a word that you display on the screen. Often times I will start with more concrete words like coffee and apple and end with more abstract words like idea or brave. If using paper: After the 20 seconds are up, have students pass their paper around the table until each person gets their paper back again. If the room is set up in rows, students can either trade with the person sitting next to them or pass their paper back through the row and the last person passes the papers back to the original owner. If using Pear Deck: After the 20 seconds is up, show the responses on the screen scrolling down through each one. Students love this because they are able to see everyone’s creations! I love this activity because it helps students visualize the images in their head. It also shows that everyone visualizes things differently. There is no right or wrong way to doodle an image. The important part is that it represents something to the person who is doodling it. Often times I will choose words for this Graphic Jam that are in the video clip they will be practicing sketchnoting with at the end of the session. By doing this, participants will be able to pull that image more readily when doodling it again. In my sessions I explain how to incorporate text, images, and structure into sketchnotes. The following games are a great way for students to practice these components. This game I typically have students play on paper. I tell them they are going to practice a word they’ve been writing since they began school, their name. After explaining text and some of the possible font variations, they write their name on the paper using whatever font they choose. When done they can color their name and add lights or any other symbols that represent them. I love seeing all the different styles students come up with. They have a lot of fun with this. I usually give them about 3-5 minutes for this, but time can vary. This is another game I discovered over the years, and can't figure out where! For this game, students are given 2 minutes to find something in the room and doodle it using only these 5 shapes: triangle, circle, square, dot, and line. This is a great way to explain that we don’t have to be artists to doodle. If you can draw these 5 basic shapes, you can draw most anything! I came up with this variation based on the game below. I call out an emotion and students draw a face expressing that emotion within 1 minute. I love how this illustrates how much we can convey just with a simple emoji. This game is much like Emoji This. I call out an action word and the participants have to doodle a stick figure demonstrating that action. As with Emoji This, it is a wonderful way to illustrate how a simple stick figure can convey emotion as well as action. At the end of every sketchnoting session, I have participants practice. I usually select Youtube videos that have steps and are no more than 5-10 minutes in length. Sometimes the videos are connected to the content, sometimes they aren't. It depends on the learners and the class that I'm facilitating the session for. I find that scaffolding their first practice session is really important. When you learn something new all your focus is taken learning that skill, so it's hard to absorb any additional content. By scaffolding the sketchnoting process the first few times, it helps the learner focus on the content being sketchnoted as well as the process of sketchnoting itself. Without the initial scaffolding, I've often found people get frustrated and are less likely to give it a second try thinking it must not be for them. Click HERE for an example of a video I've used. To begin practice, I give students a few minutes to write their title, cite source, and set up the structure. I tell them how many steps are in the video so they can write them on their paper in whatever structure they wish. I also will give a list of words that they may choose to draw during the video so they can start thinking about the image that comes to mind. As mentioned before, I use some of these words when doing the Graphic Jam game so they've already doodled these images once. Once the video starts I pause it for a minute after every step so they have time to complete their notes for that step. I find that by doing this, students feel more relaxed and can process as they go. One of the most important parts of this process that often gets overlooked is reflection. By allowing 5-10 minutes after the video is over for students to finish their sketchnotes gives time to shade in, add more images and text, and reflect and process what they just took notes on. This step has been extremely valuable to me as well as my students and others that I've helped teach this process to. This past week when I visited classrooms, I had a few students in my session that had been in my session in another class. When they saw me, they said, "Are you teaching sketchnoting again?! That was the best lesson I have had all year! 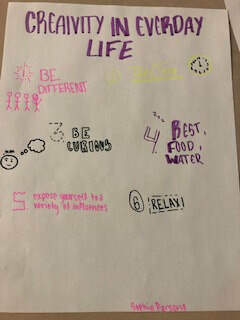 I love sketchnoting...it's helped me so much!" It made my day to hear this feedback. It truly is a game changer for many students, I know it was for me! If you are interested in learning more about sketchnoting check out my resource page with additional blogs and templates below. Also, make sure to follow my inspiration for many of these games, Sunni Brown, and check out her book The Doodle Revolution! This book is rich with inspiration, content and lots more doodling games and activities! Also, make sure to follow other sketchnote extraordinaires, Carrie Baughcum, Monica Spillman, Sylvia Duckworth, and Nichole Carter. They are all amazing and have lots of resources, inspiration, and experience to share! My husband and I hit the road 2 ½ hours before the sun arose this morning with coffee in hand to attend the Oregon Coast Culinary Institute competition in Coos Bay, Oregon where three of my former students were competing. This event had been on my calendar for months and there was no way I would miss it. 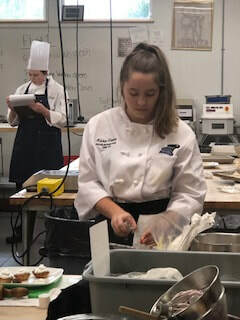 These students had been in the culinary program at South Medford for three years and this would be their final competition in high school. All the skills they’d learned so far lead up to this moment. 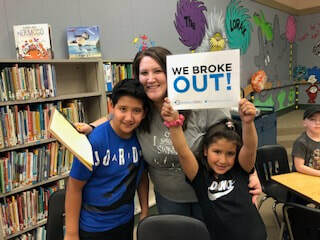 ​When I left the classroom to be our district’s Tech Integration Specialist this School year, I knew it would be magical moments like these that I’d miss most. All of my student’s hard work culminated into authentic experiences where they have the opportunity to challenge themselves beyond what they think they are capable of; shining for the world to see. Today was most definitely a magical moment and I was so overjoyed I was invited to be a part of it. As I watched my former students with incredible pride, I thought about all the skills they’d learned in my classroom over the years and how much they'd grown. I thought about the fun memories that were made. The laughter and tears that were shed as life happened. The good. The bad. The happy. The sad. I also thought about the memories made this year without me. At first it made me sad. Sad that I hadn’t been a part of their Senior year. Sad that I’d missed a portion of their journey. However, that sadness was soon replaced by joy as I witnessed my former students interact with their new teacher. She was reminding them of the techniques they had practiced, and of all they were capable of. She believed in them, just as I did. I realized that by passing the torch this year, I had empowered a new educator to share her gifts. Her skills. Her passion. Her story. I had played a part in igniting my students' passion for cooking and now she was fanning the flame, giving it oxygen to burn stronger. Sometimes life brings us new adventures. It doesn’t mean that we are abandoning the people that we serve, but instead providing new opportunities for learning and growth. As we embark on these new adventures, we are able to expand and amplify our impact. The transition to a new role is emotional at times. I poured my heart into teaching my students and developing a culinary program. I absolutely loved it. However, this new adventure truly has empowered me to expand and amplify my impact. I’ve been able to share my passion for magical learning with new people. I’ve been given the awesome opportunity to spark joy and I am so incredibly grateful! 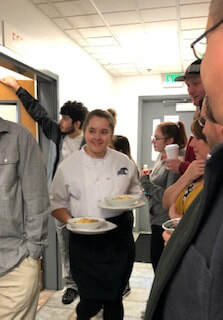 As I watched my former student, Bailey, walk up to accept her first place trophy and $4000 culinary scholarship today I was overcome with emotion. 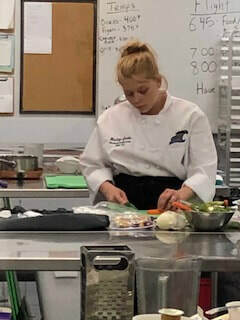 In a few short months she would be embarking on new culinary adventures with a new set of educators here at Oregon Coast Culinary Institute. New skills. New experiences. New opportunities. I felt so honored to have played a part in her journey of discovering her passion and so grateful to her new teacher for nurturing it and bringing her to this moment where she had been given the opportunity to chase her dreams. To make this day even more special, I ran into a former student who was attending the culinary institute at the competition. She would be graduating with her culinary degree in a few months and it seemed like just yesterday she was in my classroom. 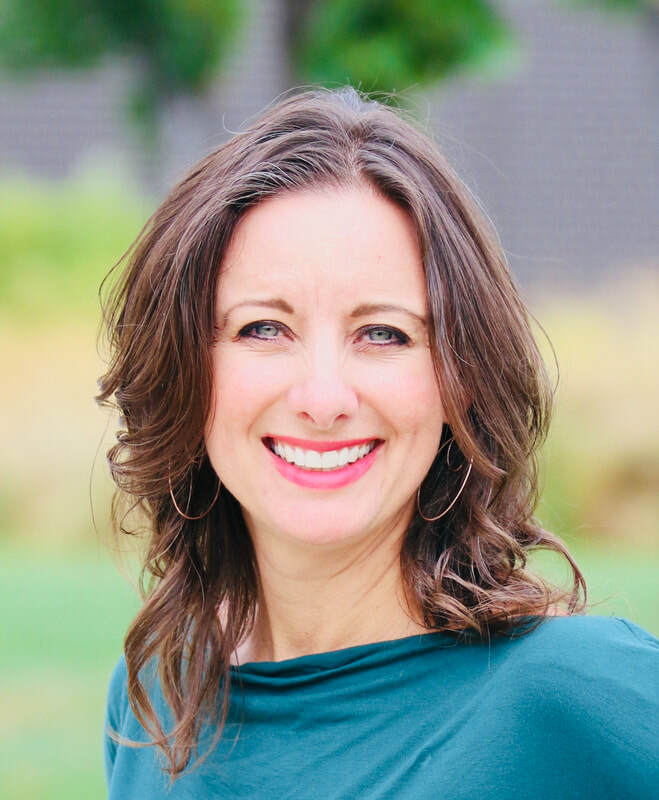 As she shared about her culinary instructors, opportunities that she had been provided, and the incredible learning she has experienced, I thought about the "L" of my MAGICAL acronym: Legacy. Each day is an opportunity to make a positive impact on those we serve. We are writing our legacy one magical moment at a time. If in your your journey a new opportunity arises that allows you to expand and amplify your impact, embrace it. By stepping out on a new adventure, you just may be giving someone else the opportunity to fly. What an incredible gift we give students when our legacies are intricately woven into a beautiful design that empowers students to leave our schools and go leave a legacy of their own. Bailey, Kara, and Grace, I am so incredibly proud of you! Thanks for letting me share in your journey. Valerie, I couldn't have passed the culinary torch to a more qualified, caring, and talented teacher. You are making an incredible impact and leaving a legacy that will last forever. I love reality television singing shows. Partly because I can not sing. At all. In fact, singing “Happy Birthday” is a serious struggle for me every. single. time. I’ve always thought it would be amazing to belt out beautiful tunes on key. But it’s more than that. Even though I can’t sing a tune, I feel a connection to the journey these contestants are on. I can relate to their passion, their dreams, their drive. They touch my heart with their stories. It’s a beautiful thing to watch them take huge leaps of courage in spite of incredible and sometimes heart wrenching obstacles. This season as I’ve watched American Idol, one contestant in particular has captivated me from the moment that he auditioned. When a humble Alejandro Aranda walked into the room it was obvious he was lacking self confidence. However, when he opened his mouth to sing and began strumming his guitar, it was absolutely captivating. In fact, I had to replay the performance multiple times because I loved it so much. The judges watched him in awe and when the song was finished Luke Bryan said, “I feel like I’m in the presence of greatness”. Katy Perry told him, “I think you’re really special. I think you’re an absolute genius.” The look on Alejandro's face when he heard these words of affirmation was a mixture of shock and awkward disbelief. As he walked out of the auditions without a soul other than Ryan Seacrest to greet him, his face reflected pure joy. Immediately my mind flashed back to the hundreds upon thousands of students that have entered my classroom over the years with similar looks of doubt and disbelief. To see splashes of joy as they begin believing in themselves and what they are capable of is indescribable. That’s the magic moment as teachers that we live for. As I watched Alejandro walk away from the judging panel tonight after finding out he was moving to the Top 20, you could almost feel his increased confidence and joy. He turned around and said, “Thanks for believing in me.” Wow! What powerful words. As I reflect on my own transformative journey, I realize how vital it has been to have people along the way that have believed in me. The truth is when you are chasing your dreams, it can be lonely. Not everyone is rooting for you. Not everyone is excited for you when you win. Those “believers” mean the world to me. They pick me up when I encounter self doubt. They challenge me when I feel like the next leap is too high. They celebrate my victories. They hug (sometimes virtually) and reassure me when I fail and help me to get back up again. They remind me how far I’ve come, and what I’m still capable of. They see me for who I truly am and who I was meant to be. They help me believe in myself. We all need people in our life that believe in us. Find those beautiful souls; they are special. Be that person to someone else, because there are a lot of precious gems out there that don’t know how brightly they can shine and we have the incredible honor of helping them see their true beauty. On a turbulent plane flight home not too long ago, I decided to spend some time organizing the many apps on my phone and discovered quite a few that I didn’t even realize I had. Looking for a way to keep my mind preoccupied as the plane bounced through the air, I played a game that I hadn’t yet tried called, 4 pics 1 word. This game is played exactly as you would imagine from the title. Four picture clues are displayed and you try to figure out what word connects them all. As I often do when I play games, I started to think about how this game could connect to learning and the various ways I could adapt and bring it into the classroom. Find four pictures that connect to each of your vocabulary words in the unit. Each day of the unit, place four pictures on the screen that are associated to one of your unit vocabulary words as students come into class. The entire class tries to figure out the word before the timer runs out. You could also have students solve individually or on teams. To make it slightly easier, you could add blank spaces on the bottom of the screen to indicate how many letters are in the word that the pictures have in common. You could also give the students a hint such as: 13 letter lock. Or, fill in some of the blanks such as: __v__t____tes. ​You guessed it! The answer to this clue is, "Invertebrates". Four pictures that connect to a historical event. Four math formulas that all connect to the same solution. Four elements that belong to a group in the periodic table. Four pictures that connect to a novel. Four pictures that connect to a recipe. Four pictures that connect to a type of design style. Four pictures of musicians or songs that connect to a music genre. Four artists or works of art that connect to art genre or era. Variation 1: Set a timer for 3 minutes and have students work in teams to figure out the common word before time runs out. In a gamified class, you could give XP or other classroom currency to teams that solved the clues in time. You could give each team a buzzer to indicate when they solved the clues. 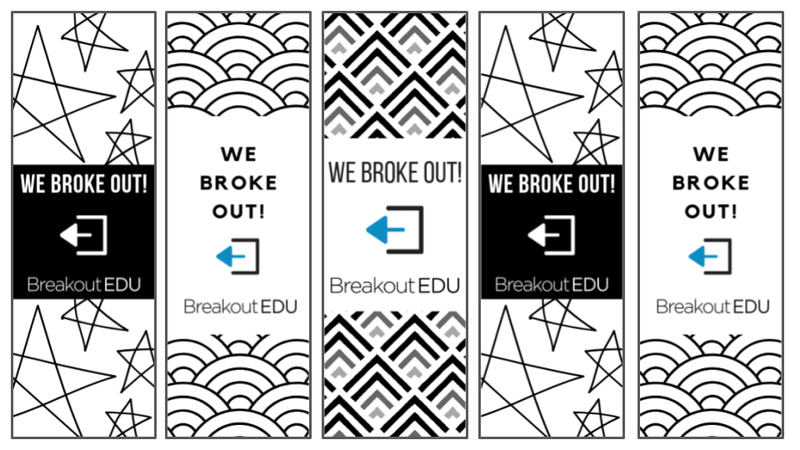 Variation 2: Place a BreakoutEDU box on each team table set with the letter combination of the common word. 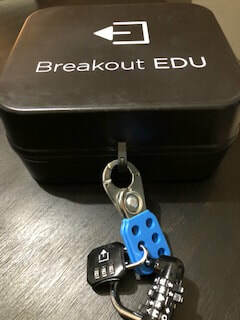 Inside the box is a link to a digital BreakoutEDU game. ​Variation 3: In each unit of study, hide clues containing four pictures in various locations digitally and physically. 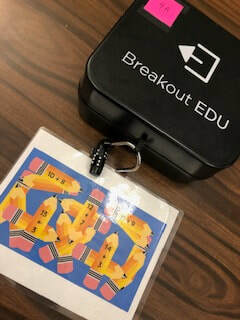 Have a BreakoutEDU box located somewhere in your room with locks set to the number or letter combinations associated with each one. The goal is for the class to collectively break into the box before the end of the unit. You could also have class teams competing to break into the box first. Or in secondary, have class periods competing against each other. Variation 4: Create a Google form and upload an image of 4 related pictures for each question. Using a short answer response and response validation, create a digital escape that leads to a bonus challenge or quest if unlocked. LET KIDS CREATE THE CLUES! Now let's flip this idea around! What if students came up with the picture clues? Assign each student or team a word and a slide number in a Google Slide deck and have them come up with four pictures that connect to the word. You could use these picture slides as openers or questions in digital games such as Kahoot, Quizlet Live, Gimkit, Quizizz, or Quizalize. Or, give each team a bank of words and they create their own digital games using the picture combinations. Learning Sticks: When students connect images to vocabulary it helps make the learning stick. Because students are trying to find common characteristics and connections between the words the likelihood that the vocabulary word will cement in their long term memory is even greater. When you reverse it and have students make the connections by finding the pictures themselves, that increases the stickiness even more! Critical Thinking Skills: It takes a lot of problem solving and logic to find common threads of meaning in the pictures to solve the clues. Whether they are solving the puzzle or creating it, logic and problem solving are needed! Vocabulary Acquisition: The ultimate goal of the picture puzzles is the learning of new vocabulary. What better way to learn vocabulary than connecting the word to images?! Additionally, when students are creating the puzzles the acquisition is strengthened even more. Perseverance: The productive struggle that occurs when students are solving puzzles is powerful! Helping develop student's ability to keep going when learning is hard is important. When you bring this into an experience that is challenging and fun, it motivates the learner to not give up when frustration sets in. Accomplishment: Nothing beats the sense of accomplishment when a puzzle is solved! Couple that with a shared team experience, and wonderful memories and bonds are made! Fun: Joyful, playful learning makes learning memorable and meaningful! The more we can bring fun into learning, the more learning becomes enjoyable. When students love learning, it becomes something they want to continue far beyond the time spent in our classrooms. The possiblilities for bringing word clues into your learning environment are endless! I'd love to hear your ideas! Please share! Let's make learning magical together!